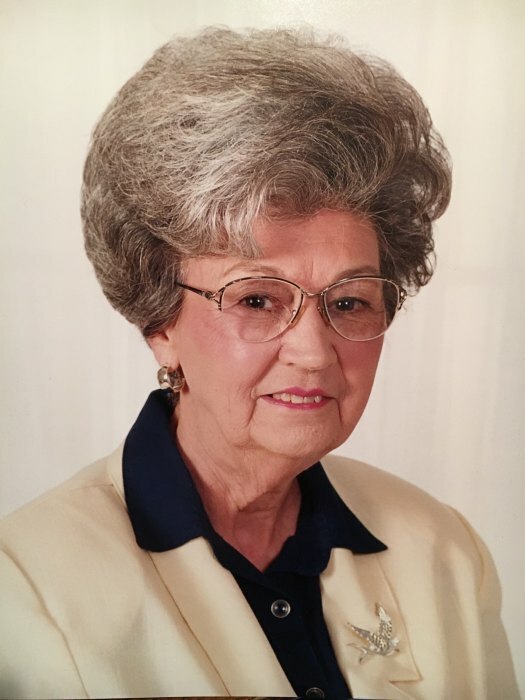 Mrs. Imogene Brasher age 90, of Parsons, TN passed away on Thursday April 11, 2019 at Decatur County Hospital in Parsons, TN. She is survived by her Sons, Jeff (Barbara) Flowers of Oklahoma, Phil (Cheryl) Flowers of Parsons, TN; Daughter, Genita (Bob) Huskey of Parsons,TN; Grandchildren, Jeremy Flowers, Jennifer Thebeau, Ashley Flowers, Shawn Huskey, Chad Huskey, Angela Archer, Christy Smith, and Amy Brasher; 17 Great Grandchildren; 1 Great Great Grandchildren; Her extended Brasher Family. She is preceded in death by her Husband; Elmus Flowers; Husband, Hershel Brasher; Mother, Grace Harris Hill; Father, Troy Hill; Brothers, Jimmy Hill and Jerry Hill; Sisters, Margie Pratt and Mary Nell Smith Moore. The Brasher family will receive friends on Sunday April 14, 2019 from 1:00PM until 8:00PM at Parsons Mortuary. Visitation will continue on Monday April 15, 2019 from 9:00AM until time of service. Services will be held on Monday April 15, 2019 at 10:00AM in the Parsons Mortuary Chapel with burial to follow in the Dukes Cemetery.